Ramzan Kadyrov has accused Instagram of bowing to US pressure after the social network removed a video he posted showing Russian opposition leader Mikhail Kasyanov in a sniper’s gunsights. Instagram said the video posted by the Chechen leader had “violated the requirement to respect other members” of the social network. In a new Instagram post, Ramzan Kadyrov said he had been punished for saying “a few words about the USA’s guard dogs”. Ramzan Kadyrov’s video showed former Russian PM Mikhail Kasyanov as a sniper’s target. Mikhail Kasyanov is a high-profile critic of Russian President Vladimir Putin, in the opposition RPR-Parnas party. Ramzan Kadyrov has recently called Vladimir Putin’s critics “enemies” and “traitors”. In his latest post on Instagram, Ramazan Kadyrov said: “Here it is, the much-acclaimed freedom of speech, American style! Mikhail Kasyanov and other Russian opposition politicians described the sniper video as a murder threat. In March 2015, Ramzan Kadyrov spoke out on Instagram about the assassination of opposition leader Boris Nemtsov in Moscow, defending one of the Chechens charged over the shooting. A day later, President Vladimir Putin gave the Chechen leader a top award. Boris Nemtsov is among several well-known opponents of Vladimir Putin who have been murdered in the past decade. 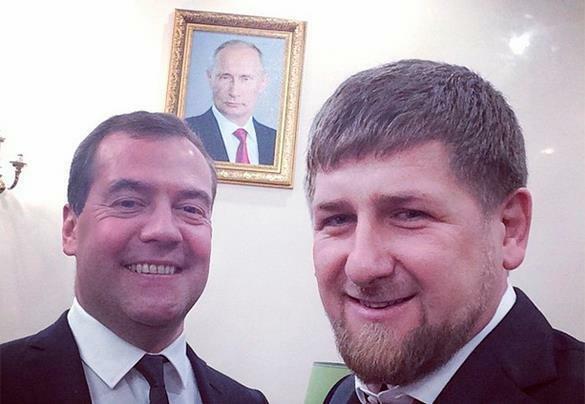 Ramzan Kadyrov runs Chechnya with an iron fist – his private militia has been accused of widespread human rights abuses, including torture and assassination. He has close ties to Vladimir Putin, who encouraged him to stamp out a separatist insurgency in Chechnya. Thousands of civilians died in the North Caucasus republic when Russian troops fought the rebels there in the 1990s.